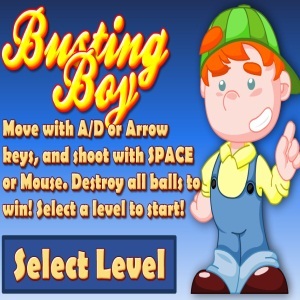 Description Each level has bouncing balls which the player must destroy. Shooting a ball splits it into two smaller objects. Keep shooting the balls until they completely disappear. Controls Control the player with LEFT and RIGHT arrow keys, and shoot harpoons with SPACE.